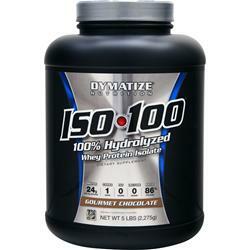 This morning I’m going to do a short review of Dymatize Nutrition’s “ISO-100” Protein powder. There isn’t too much to talk about with protein supplements, but we will look at the ingredients, quality, taste, and price in the review. 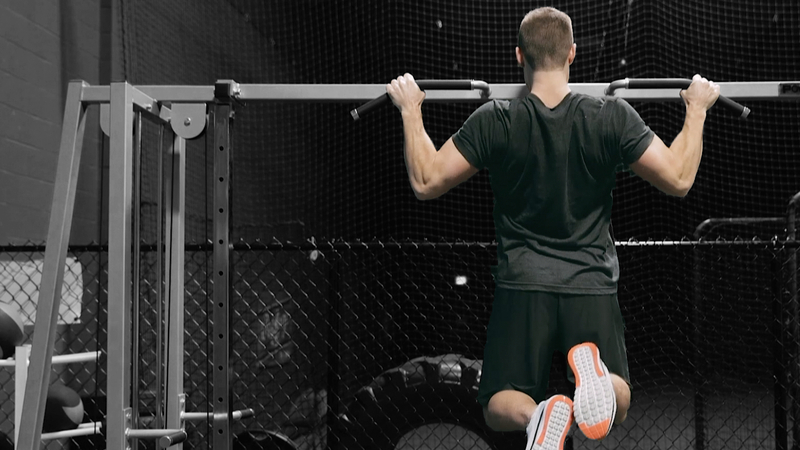 ISO-100 is a 100% hydrolyzed whey protein isolate and is a very premium protein powder. In one scoop of ISO-100 you will get 24 grams of protein, with just 1 gram of carbohydrates and 0 grams of fat. Each scoop is 106 calories and only 28 grams. ISO-100 is one of the purest proteins out there, as they’ve removed both lactose and fat that are found in other protein supplements. Giving you 24 g of protein and little else in a 28 g scoop means that ISO-100 protein powder is 86% protein by weight – something you won’t see in almost any other protein supplement. Dymatize Nutrition has created this protein powder to be a premium powder that gives you ultra fast absorption making it perfect for a post workout shake. Because it doesn’t contain any carbohydrates for recovery I would recommend taking a carb supplement such as Vitargo S2 as well. This supplement is great for those looking to watch their carb intake during other times of the day (ie before bed) with just 1 gram of carbs and 0 g sugar. So looking at the quality of the product you’d think that it might not taste too good right? ISO-100 actually tastes great. I’ve only tried the Gourmet Chocolate flavor, but I can easily say it is one of the better protein powders I’ve tasted. Because it is such a quality protein supplement and Dymatize has processed it “meticulously”, according to their label, which shows with its instant mix ability. One or two scoops in a shaker cup with some water and ice is the perfect mix for this protein supplement. For review purposes the taste and mix ability gets a 10/10. The only reason I didn’t give ISO-100 a full 10/10 for the overall review is because of the price tag. I knocked off 0.1 on their score because this is a little bit of a pricey protein at close to $70 for a big 5 LB container. With that said it very much deserves a high price tag because of the quality of the supplement. This supplement caters more to those who are willing to spend money on their health/fitness goals, and probably isn’t recommended to more casual gym go’ers or those who are on a tight budget right now. But if you told me you wanted to do fitness competitions or needed to look your best and price didn’t matter to you with your supplement choice I would recommend ISO-100 first as your protein powder. If you have the money and want the best pure protein powder on the market right now head over to BodyBuilding.com and pick up a tub of Dymatize Nutrition’s ISO-100 protein supplement. I have a question? Can I drink a shake of that before sleep? Will it still work?